Instant Grey: Brown hardwood turns into a clay-grey color within an hour. Turns new golden brown teak into old teak. 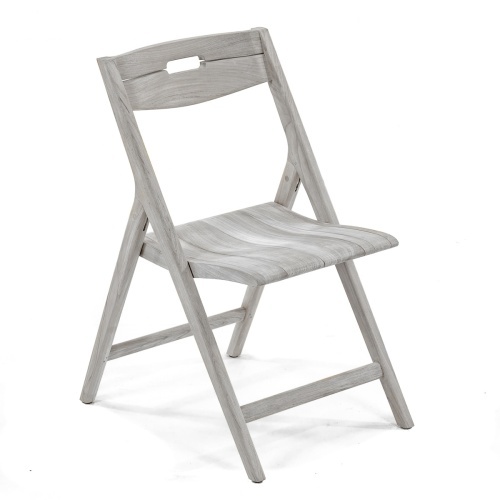 Or maintains the driftwood-grey color of old or reclaimed teak for a longer time. 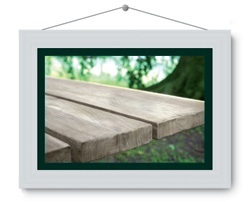 Matches your teak tables with the color of your wicker chairs and cushions. Helps to hide sapwood. 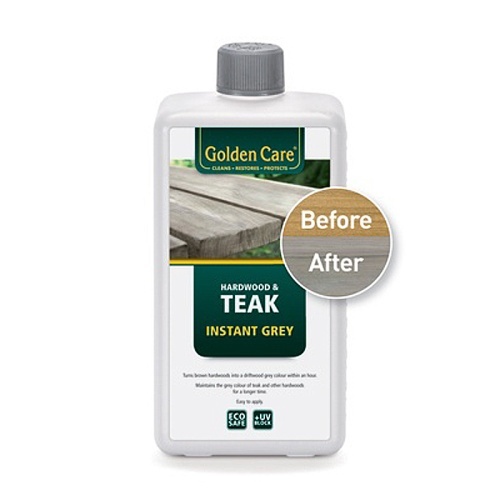 After applying Instant Grey, we strongly recommend treating the surface with our Teak Shield to prevent stains. I love the beautiful color of this stain. After 2 or 3 coats, I got the color I wanted. I'm sure that my errors had more to do with technique/application than the product, but I did run into some trouble spots. The orangey teak of my original piece was still visible somewhat through the grey. I also got a couple of spots that ended up practically black or that pooled up in an unattractive way and I had to try to get them out and refinish them. There were also a couple of spots that were just soooo stubborn, like a 2 inch section that just would not grey. I did try to sand and clean again, but I have no idea what was happening in those spots. I did eventually get them covered, it just took a lot of work. This was my first time using the product, however, so please take that into consideration! I also personally prefer using a sponge brush for application, which I did use this time as well. Directions say to use the provided towel...maybe that would have alleviated some of my issues. Either way, I was very pleased with the overall product despite my errors. I will use this again and again on future pieces and keep learning what techniques help the product work the best. The time is now 04:57 PM EST!